Décor Aid’s award-winning designers provide a high-touch, end-to-end interior design service throughout the city from Kenilworth to Lincoln Park and everywhere in between. 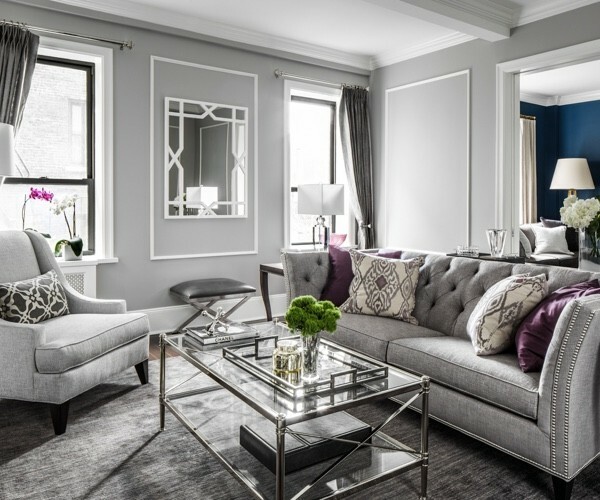 Décor Aid only works with top award-winning interior designers in Chicago to bring you elevated personalized end-to-end white-glove services throughout the Chicagoland area, from the Gold Coast to Glencoe, and every other neighborhood and suburb in the Windy City. Esteemed interior designers, luxurious design, straightforward fixed pricing, and access to our exclusive furniture discounts, is how we’ve updated the design process while making every project seamless. By working with the best interior designers in Chicago who take pride in creating enriching residential and commercial interior design, we provide you with a practical, professional, and customized design experience unlike any interior design firm. Décor Aid works with over 500 of the best interior designers from coast to coast, with each decorator carefully selected after exceeding our rigorous vetting process. And as other celebrated interior designers in Chicago provide their clientele with generic interior design stuffed with hidden markups on everything they bring in including additional services, we take pride in our transparent fixed fee pricing structure that guarantees no surprising unjustifiable expenses, costs, or outrageously high markups. To ensure that your project always stays within budget and on schedule while keeping the entire process hassle-free, you’ll have a reliable project manager who work on your behalf in overseeing every aspect of your project while making sure that you take full advantage of our exclusive trade discounts on furnishings and general contractor services. Often, these discounts can be up to 50% off fees and retail prices – savings that can end up covering our interior design fees. Our project management team and purchasing department will also take care of every purchase and delivery to save you time and any possible drama while ensuring that the entire process runs smoothly for the best in Chicago interior design for your space. From the best interior designers in Chicago who can use their wisdom to your advantage when decorating a craftsman home in Oakbrook, to a decorator who will handle a dramatic gut renovation in Winnetka, we always aim to provide you with life-enhancing high-end seamless interior design services, whether that be a a subtle room refresh to a drastic home overhaul. We also only collaborate with reliable licensed, insured, and certified general contractors and renovation experts who are masters of their field. Our interior designers, alumni from some of the world’s most celebrated interior design firms from Peter Marino to Juan Pablo Molyneux, understand the unexpected issues that can arise from renovation and décor updates and bring with them savvy problem-solving solutions while working with your general contractors the tasks at hand on schedule. From landmark buildings to modern architectural feats, we’ve redesigned over 4,000 spaces with enriching updates derived from our client’s vision, taste, and lifestyle. And while other leading interior designers in Chicago are still providing uninspiring design practices, Décor Aid takes an innovative approach to interior design in Chicago that delivers an updated and elevated take on beautiful décor. Having successfully completed thousands of remarkable interior design projects nationwide, we know the challenges and situations that can happen during the interior design process, and made it our mission to change the industry with fair fixed fees, exclusive furniture and service industry discounts, and incredible project management with 24-hour concierge services and customer support. To bring you the best Chicago interior design services with designers to meet every budget, Décor Aid provides transparent pricing and flat design fees so you’ll know what your project should cost before it starts, and how long it will take. After your complimentary in-person consultation, you’ll get a detailed proposal covering every cost, step, and aspect of the design process determined by our flat hourly design fees. Your project coordinator will then identify the right interior designer for the scope of your project, needs, style, budget, timeline, and location. We created Décor Aid to bring smart design to more than just the 1% as most venerable Chicago interior design firms only service large sif-figure projects while overcharging their clients with expensive design that could take years to pay off. To put an end to this fruitless cycle and realign the industry, we took it upon ourselves to offer fixed design fees without surprising costs or additional expenses to bring you affordable interior design Chicago worthy of your money and time – whether that be a radical renovation or something as quickly turned around as a single room redo. To make sure you save money and make the most of your budget, you’ll get up to 50% off retail purchases with Décor Aid’s exclusive trade discounts – savings that often surpass our fixed design fees. Our procurement team will take care of every purchase and delivery for you so you can save time while keeping the process easy for you for the ultimate in Chicago interior design services. From a single room refresh to a complete kitchen transformation, we only work with the best Chicago general contractor specialists who are reliable and trustworthy and provide meticulous construction services at the lowest rates negotiated on your behalf. Your project manager arrange free consultations, handle bidding, and work with your construction team to ensure that the process runs smoothly, and on schedule with beautiful results. You’ll also get access to 24-hour customer support who will remain standby for any help required throughout the life of your project. So we can give you greatest in interior design services, we collaborate with professional interior designers, renovation masters, and general contractors with a proven track record of successful projects that are certain to inspire. And as we’ve seen over and over, even the most distinguished interior designers in Chicago may overestimate your knowledge of décor and the fact that you don’t know where to start when wanting to add elegant design in your space. Our team of interior designers in Chicago know that all too well and work to help nurture you during the design process instead of dictating their décor solutions while ignoring your vision and lifestyle for an enjoyable learning experience that you won’t find at other design firms. Our award-winning interior designers in Chicago are masters of every design style from the classic to mid-century modern, and know the inspiring history of each movement when it comes to inspiring design that’s both luxurious and affordable. Whether you’re looking to bring on top interior designers Chicago to redecorate your tired home, or if you’re motivated to energize your newly constructed homes interior design, our skilled Chicago home interior designers, renovation experts, and project supervisors are here to provide invaluable and unmistakable high-touch design and 24-hour customer support. To further demonstrate our stance on superior design, we only work with the best modern interior designers Chicago, along with the Windy City’s top renovation specialists. And as a top interior design firms Chicago, it should come as no surprise that our designers have access to all of the best shops and sources for finding the best furniture, accessories, and art, from stores like Project and Habitar. 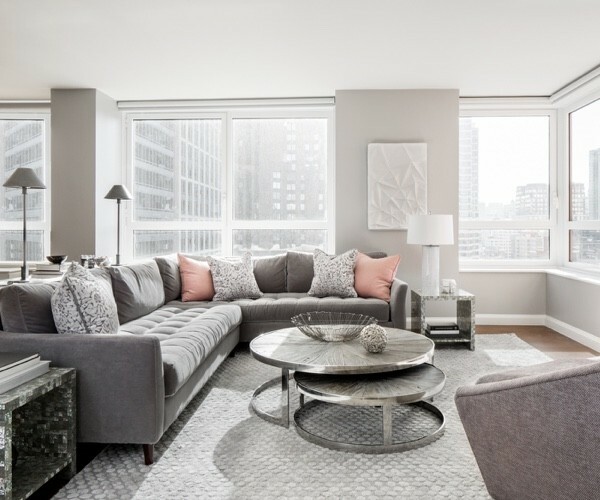 From Lincoln Park to Burr Ridge, our talented interior designers Chicago know all of the best local stores and showrooms to create a unique home or commercial space that is within your budget. And unlike other residential interior designers Chicago, our mission is fixed on providing life-enhancing interior design always delivered at the lowest price. Our budget-friendly affordable interior designers Chicago take in the taste and lifestyle of each individual client to design spaces around their needs, vision, and style- which is why what leads us to continue to be mentioned in lists celebrating top home interior designers Chicago. From top interior designers Chicago to a talented, insured, and reliable general contractor who will complete the job on time and within budget, our team of interior design and renovation specialists create enriching interior design that’s unique to each individual space, while remaining timeless, and inspiring. And since we’ve seen other affordable interior designers Chicago fall short when creating modern, elevated design, we extensively screen our interior designers in Chicago portfolios and project history to ensure a brilliantly decorated outcome. We are also considered the best local firm for commercial interior designers Chicago as we have performed dramatic transformations on thousands of spaces from retail haunts to start-up offices to inspire productivity with interior design services Chicago. For the best Chicago interior designers for your house, rental, or office space, book a free in-person design consultation with Décor Aid – one of the best rated local Chicago interior design firms.